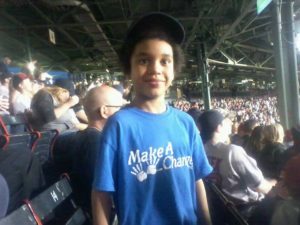 Fenway Park with Make-A-Change Inc. - Make-A-Change Inc.
Fenway Park with Make-A-Change Inc. This past week we have had the pleasure of blessing 2 young boys! The first child was in foster care but was adopted by his loving parents! He went to his first Red Sox game and they won! In the meantime he received a Red Sox helmet, some kid financial books, and truly had an amazing day! The very next day we blessed another young boy, who we mentored in January 2017! We had talked with him about family and the importance financial freedom. He also went to his first Red Sox game! 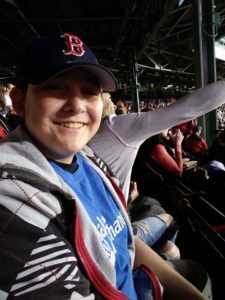 The Red Sox sponsored a good bag for him giving him a Red Sox hat, Towel, Wally the Green Monster Piggy bank, and a 2017 Calendar! Him and his dad had an experience they will never forget! Look at both of these boys joy in their faces! Let’s Make-A-Change! To support us, reach out to us anytime!